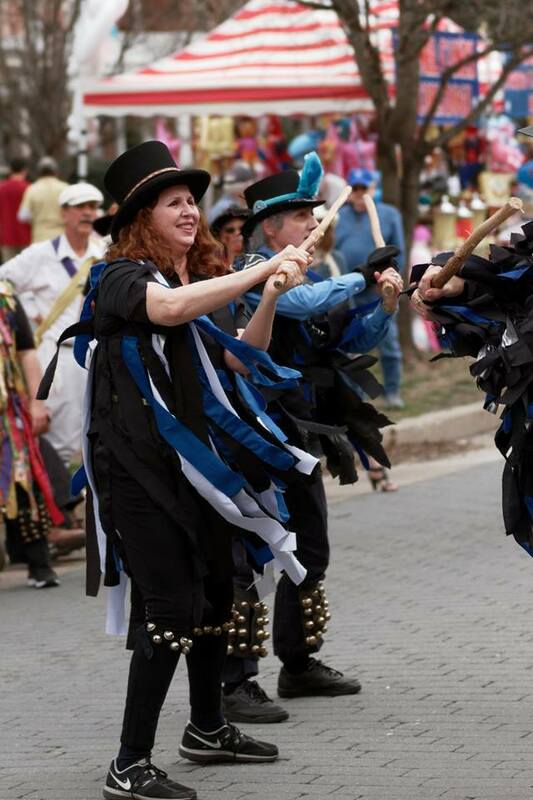 One of our annual traditions is joining with a number of our Morris friends for a day of dance at the Easter Un-Parade on Monument Avenue in Richmond. Our hosts for this event in More of Less Morris from Richmond. The Un-Parade is a very popular event with large crowds of people and dogs showing off their Easter finery. There is a carnival atmosphere which adds food, live music, and clowns. 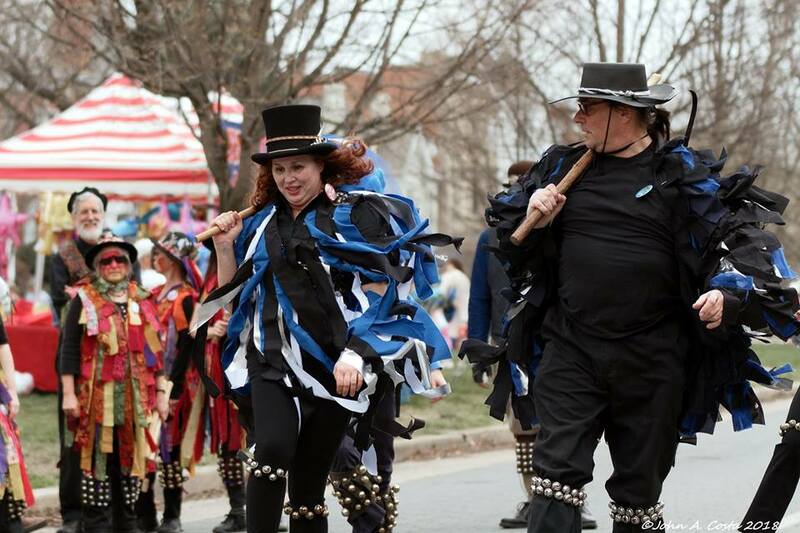 This year the weather was perfect for our dance out. Not overly hot like last year, nor raining as the year before. 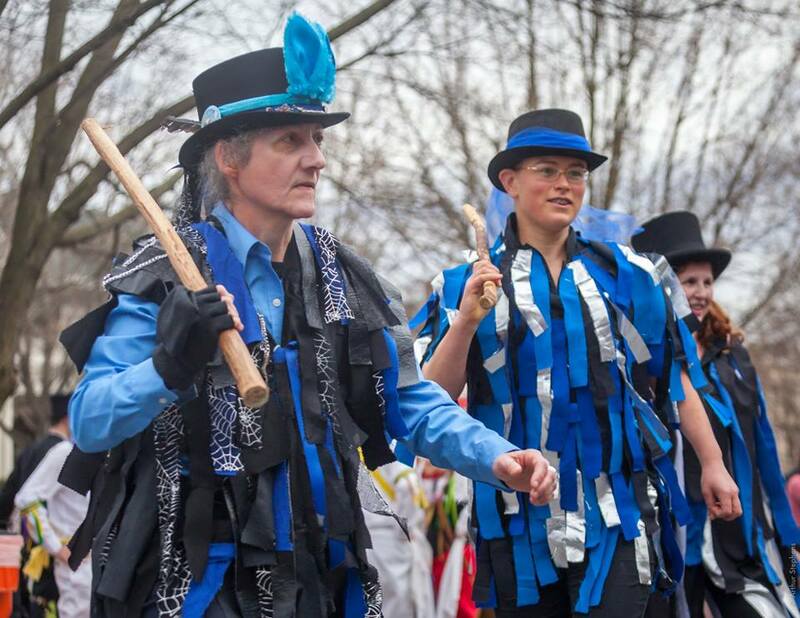 Another aspect of this event that makes it a highlight of our admittedly limited Morris Calendar, is that we get to meet, dance and chat with members of several other local sides. This year included not only the usual suspects, our hosts More or Less, the formidable talents of the Albermarle Morris Men from Charlottesville and our Border Morris cousins from Sheppardsville, West Virginia, but this year we were also joined by the fabled Mason Dixon Morris from Maryland. Mason Dixon, for those unaware are an ancient side whose origins are lost in the long shadows of time and legend. There are some who believe that it was the Mason Dixon Morris whose bells were found in the archeology of Jamestown Fort! 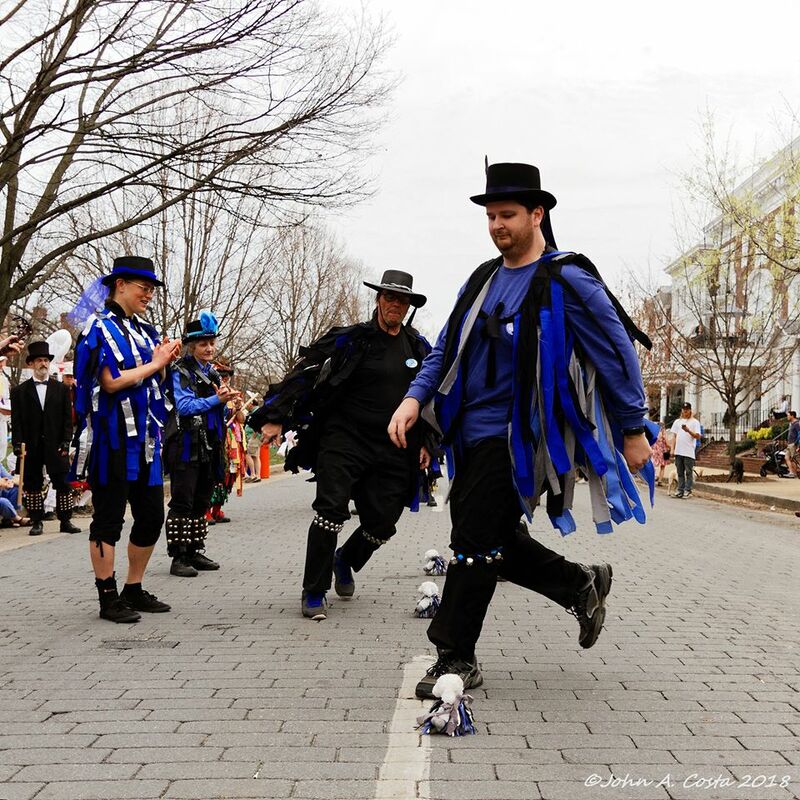 Today they dance mostly Molly while wearing a kit inspired by Steam Punk. 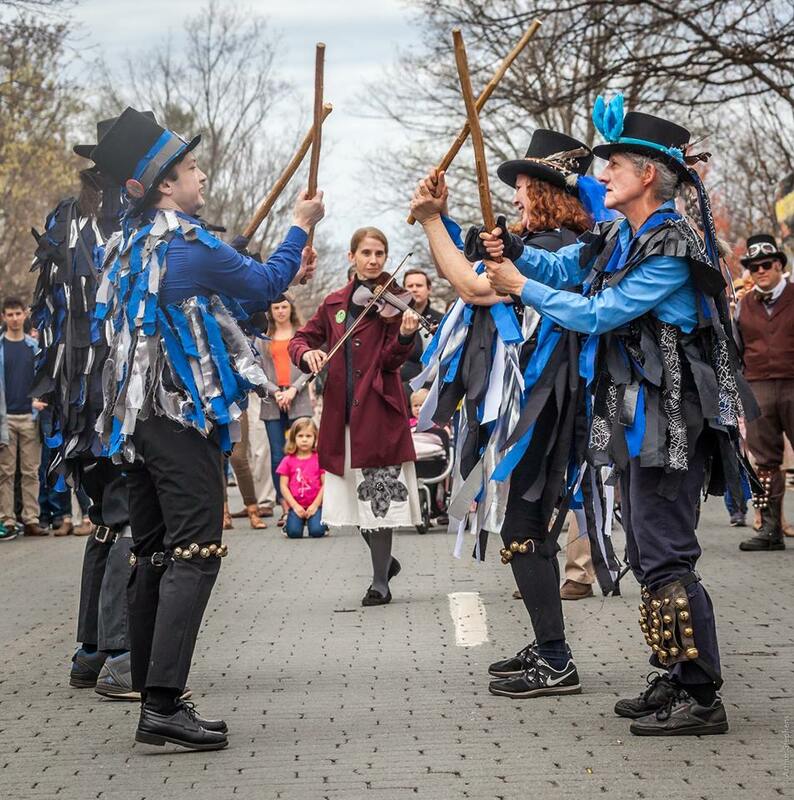 As to the Weasels, we brought six of our dancers, and in an unusual situation for us, or OWN musicians! We owe a great debt of gratitude to our friends Hudson and Clark for having joined us and played for us. I hope they do so again! We owe a great debt of gratitude to our friends Hudson and Clark for having joined us and played for us. I hope they do so again! 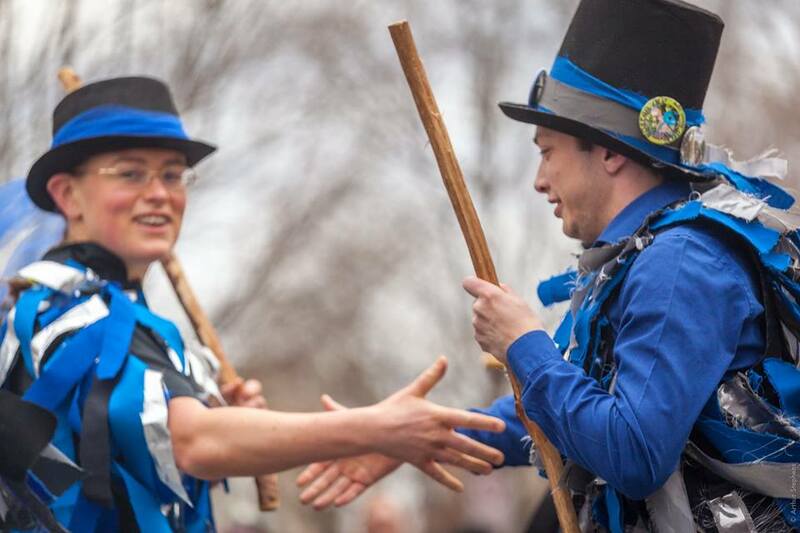 We danced most of our favorites, Shropshire Morris, Sheepskins, Not Not For Joes, etc, but we also added a new dance for the first time in public. 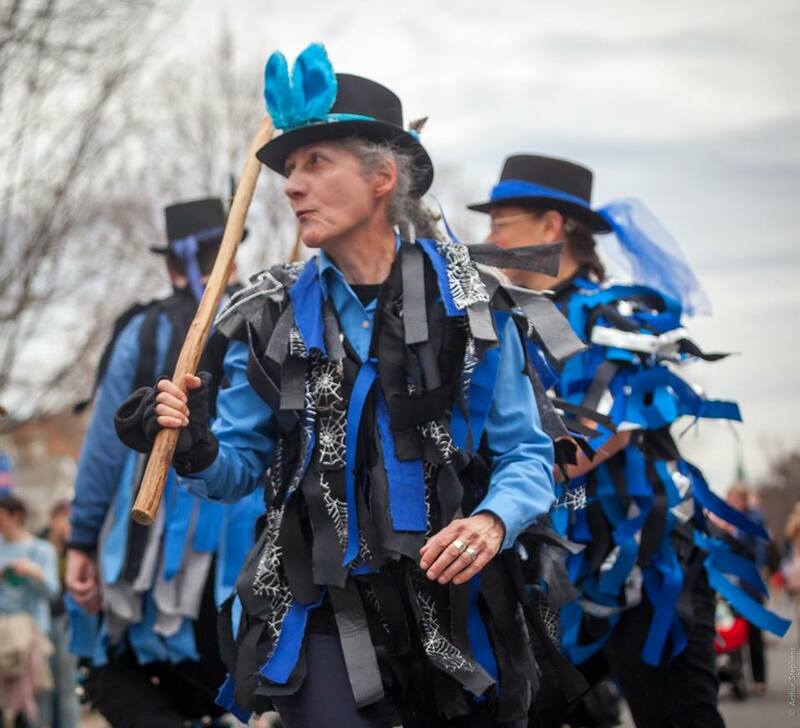 This was THE BURNING OF THE PIPER’S HUT by Breathless in Berthoud. The event ended with two mass dances. 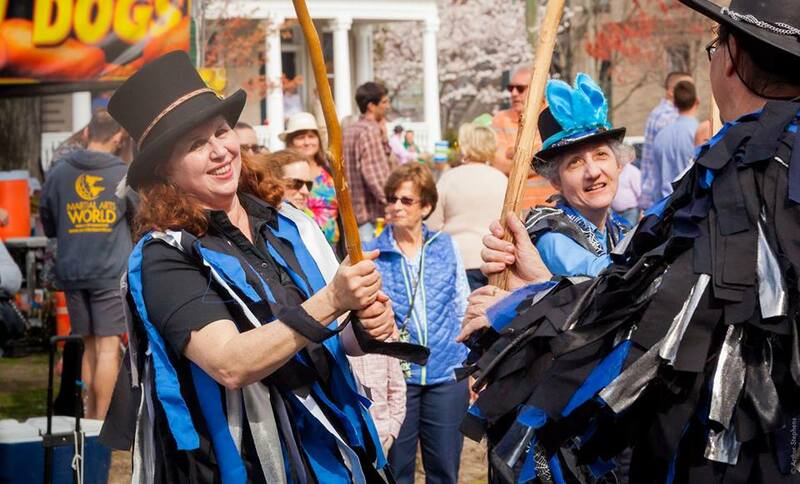 A Cotswold dance called Highland Mary and the traditional Border Dance Dilwyn. The Dilwyn was particularly silly. A great deal of fun was had by all, and we look forward to next year!